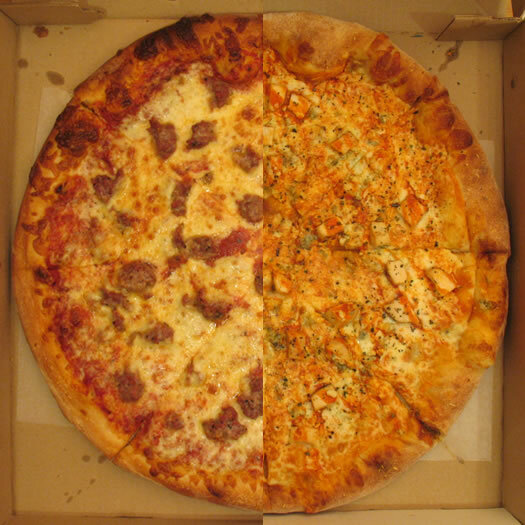 We started to refer to them as the Susan Lucci of the AOA Tournament of Pizza -- always good enough to be nominated but never quite able to take the award. But this year, DeFazio's of Troy took first prize in the TOP. And this week we stopped by to award them their first Tournament of Pizza trophy. 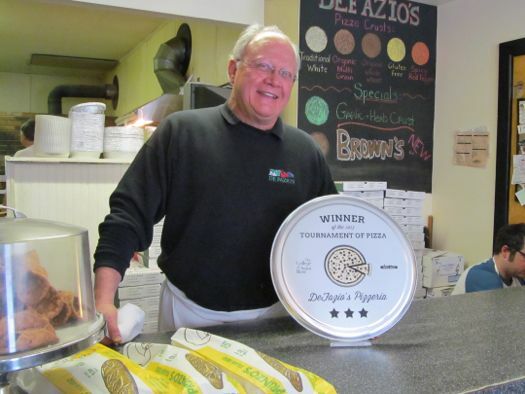 Owner Rocco DeFazio, who inherited the business from his parents, says having what it takes to make it to the finals as often as they have comes from a family philosophy -- the constant desire to improve things. Well, that and the secret of the DeFazio's crust. DeFazio's has posted a string of high scores in the TOP. But given the history of veggie pizzas, the Troy shop's record-tying score this year in the veggie round was a bit of a surprise. 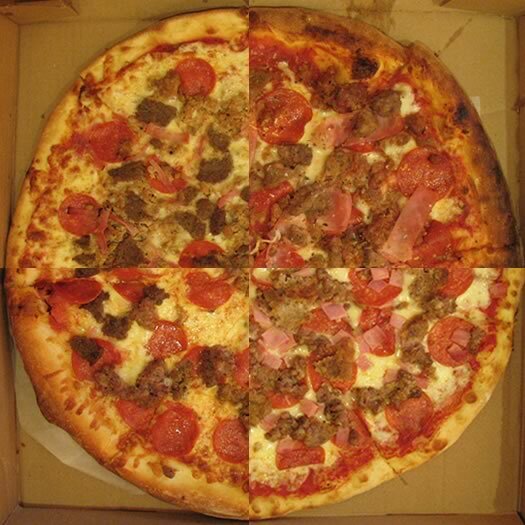 We're almost to the finish line in the 2013 Tournament of Pizza -- sponsored by The College of Saint Rose. Here's a little something to snack on before the result from the final. 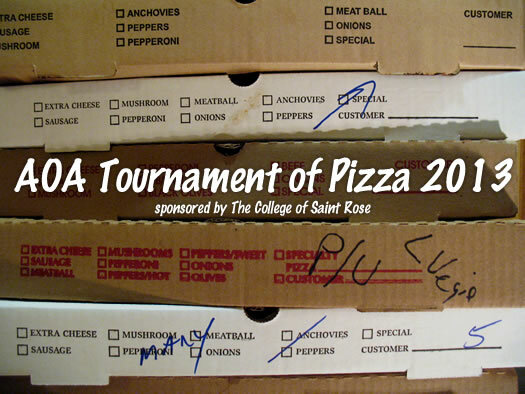 We've arrived at the final week of the 2013 Tournament of Pizza -- sponsored by The College of Saint Rose. And it's time for the semi-finals. DeFazio's is coming off a huge performance in the second round, posting a tournament-record-tying high score. Mama Mia's grabbed the opportunity afforded it by fate. DC's posted the upset of the tournament so far in knocking off overall defending TOP champ Marisa's Place. And Mario's finds itself in the semis for the second straight year after a low-key win in Round 2. The last round was veggie pizzas. On the crust for this year's semi-finals is a version of the "meat lover's" pie: sausage, pepperoni, meatballs, and ham. 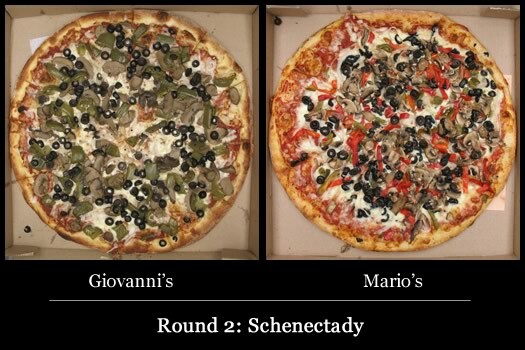 Round 2 of the 2013 Tournament of Pizza -- sponsored by The College of Saint Rose -- comes to a close in the Albany bracket. So, this isn't exactly an enviable matchup for DC's. Marisa's has one of the highest shop averages in the TOP modern era. 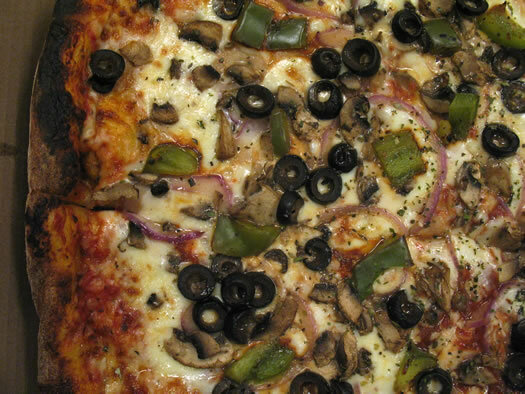 And the pizza it made for last year's final was fantastic. But, hey, the Tournament of Pizza isn't settled in a spreadsheet. It's settled on a paper plate. 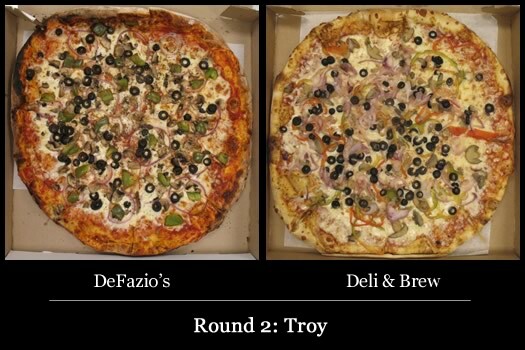 With two down and two to go in Round 2, the 2013 Tournament of Pizza -- sponsored by The College of Saint Rose -- heads back to Troy. You gotta think DeFazio's is the favorite here -- it's posted a series of great scores in past tournaments (without ever taking the overall title). But Deli & Brew, known for its subs, posted a very respectable score in Round 1. It faces a great challenge -- but there's also great opportunity. 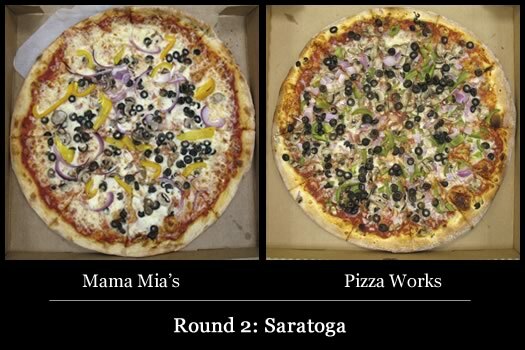 The 2013 Tournament of Pizza -- sponsored by The College of Saint Rose -- loops back around to start Round 2 in the Saratoga bracket. 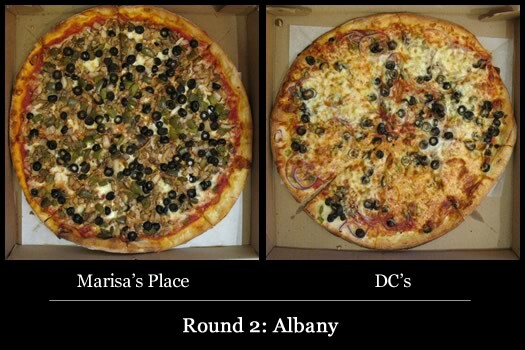 The opening round of the 2013 Tournament of Pizza -- sponsored by The College of Saint Rose -- makes its final stop in Albany. The opening round of the 2013 Tournament of Pizza -- sponsored by The College of Saint Rose -- heads toward the final turn with a stop in Troy. It requires an enthusiastic appetite. 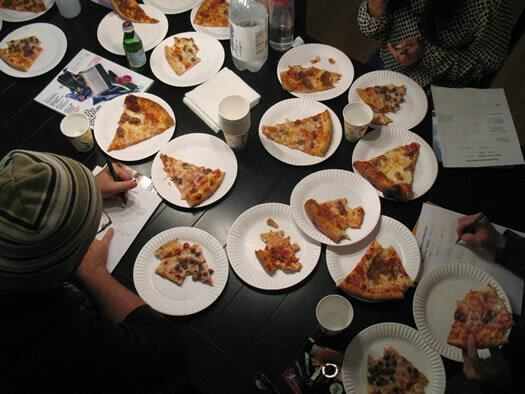 Ingredients needed for the Tournament of Pizza: brackets, pizzas, and judges. Feel the warm autumn sun. Breathe in the cool autumn air. Smell... the pizza. Yes, the seasons are changing and that can only mean one thing. That most august of traditions -- the Tournament of Pizza, sponsored by The College of Saint Rose -- has returned.